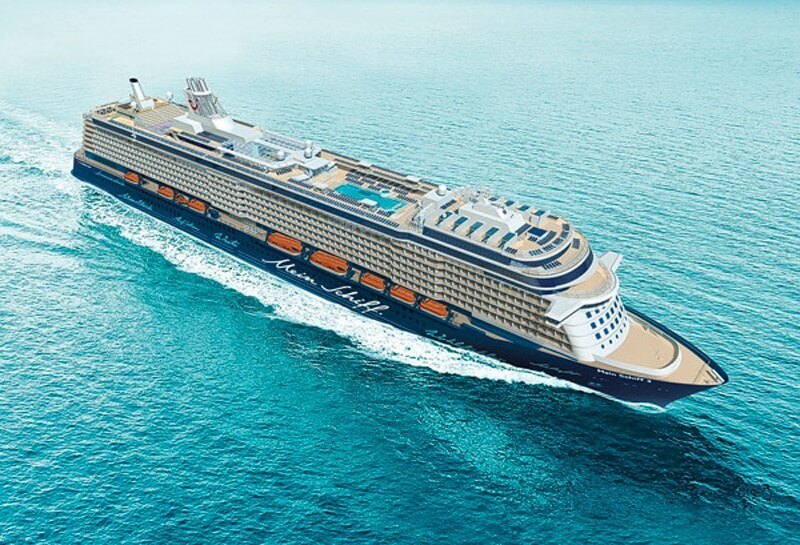 The German cruise line operator TUI Cruises has just announced that it’s ordered another two Mein Schiff class cruise ships. The two new ships are to be built by the STX Europe Turku shipyard in Finland but in the near future could be bought by the German ship building company Meyer Werft. The first ship, Mein Schiff 5 will be completed in 2016 and then the second, Mein Schiff 6 a year later in 2017. They will be 97,000 tons which is the same as Mein Schiff 3 which is recently just entered service for TUI Cruises. Mein Schiff 4 is currently being built at the Turku shipyard. The new ships will be 15 decks and carry 2,500 passengers with 1,250 cabins. The TUI Cruises fleet will grow to 6 vessels which would then rival other European cruise lines including those based in the UK. TUI Cruises will release more details about the upcoming ships including onboard features and construction updates. TUI Cruises is a joint venture by TUI AG and the worlds second largest cruise company Royal Caribbean.